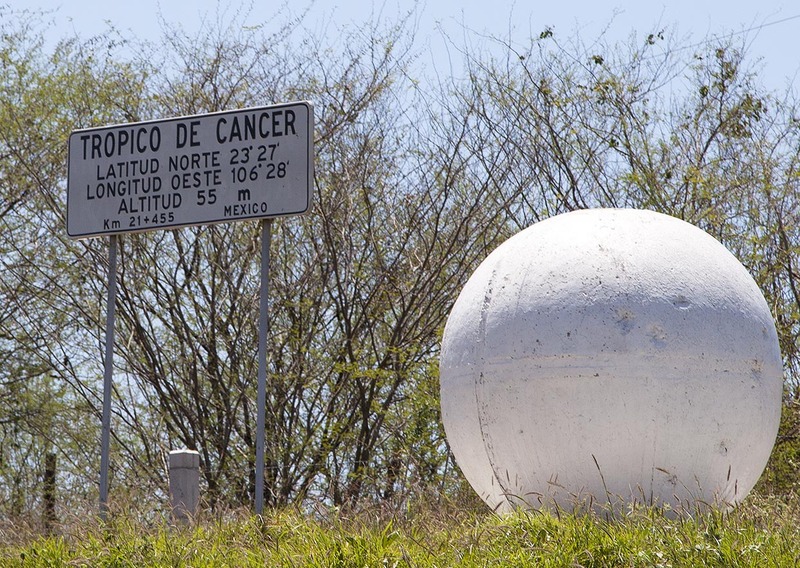 When I say “Tropic of Cancer” I’m talking about one of those imaginary lines that runs around the earth in the same way the Equator runs around the earth; not to be confused with a book of the same name by Henry Miller, notorious for its sexuality. 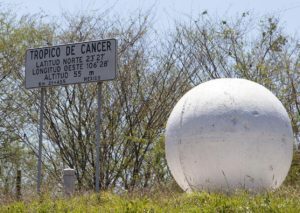 Anyway, as the crow flies, The Tropic of Cancer is 25.34 km (15.75 mi) north of our house in Mazatlán. I can’t say if a crow has ever flown from our house to the line but we have a species of crow (Sinaloa Crow) that is endemic to this part of the country so it could have happened. Speaking of the line, if you want a Kodak moment, you can drive North of here on Highway 15 and check out a sign marking the location. Note: you won’t see a line on the ground, just the sign. For the metaphysically inclined, at high noon, during the Summer Solstice, if you stand exactly on the Tropic of Cancer the sun will be directly overhead. Doing it for very long will give you this feeling of–sunstroke. All of this is to tell you that Mazatlán just squeaked in under the line. It’s officially located in the tropics. I don’t know about you but I’ve never associated the tropics with winter, at least not until we got a house here. Residents of Maz talk about how cold it can get in the winter. Cold? I’m from Canada! Canada has its own imaginary line–it’s called the “Arctic Circle”. I know what cold is and it isn’t something that happens in Maz. 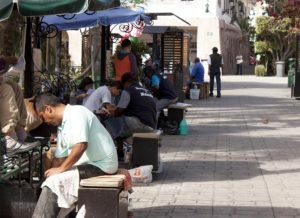 BUT–if you’ll indulge me during a slight digression–in school I recall a student complaining about how hard it was to find a decent shoeshine stand. Up to that point in my short life I was not aware of this problem. On reflection I understand how he could find the situation frustrating but as a student living in a $75 a month apartment with a leaky roof I wasn’t bonding. In a similar vein, if you’re living in the world’s largest freezer and someone in the tropics tells you they’re cold, as hard as you might, can you really feel their pain. Let’s be frank. Do you have a tiny suspicion they’re just rubbing it in. A not-so-subtle way of poking you and saying they live where it’s warm and you don’t. The Nationals don’t have anyone to call and lord it over about being in the tropics. 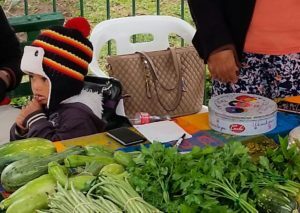 Notwithstanding, they still dress their kids in winter hats and protect their pets from frostbite. It was 19C (66F). Why isn’t he wearing gloves?? You can see his hands are cold. 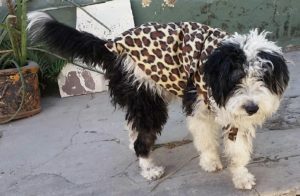 Hard to believe this dog needs more protection but, a leopard skin print??? BTW – One of the benefits of living in the tropics is that I wear sandals all the time. I haven’t had to grapple with the problem of where to find a good shoeshine stand BUT if I should become distressed over the difficulty, the main plaza would be a good place to start. They do offer to polish sandals. A long-time and close friend suggested a hint of hypocrisy in this post. He noted that I’d complained about the cold (what do you expect, it dropped to 19C -66F) and Lynn wore an extra sweater on the day I took the photo of the little boy in a winter hat with earflaps. Gracias, Ken. Mi encanta tu blog. Estoy in Chile. Ahora en Vina . ???? Don’t forget we did have a freak hail storm last year and the Durango road gets closed occasionally due to snow. The mountains have a different climate. There IS winter in the tropics but I will gladly suffer through when I see the weather reports from Canada. I can hear your voice in this post ? Oh how I miss Maz! 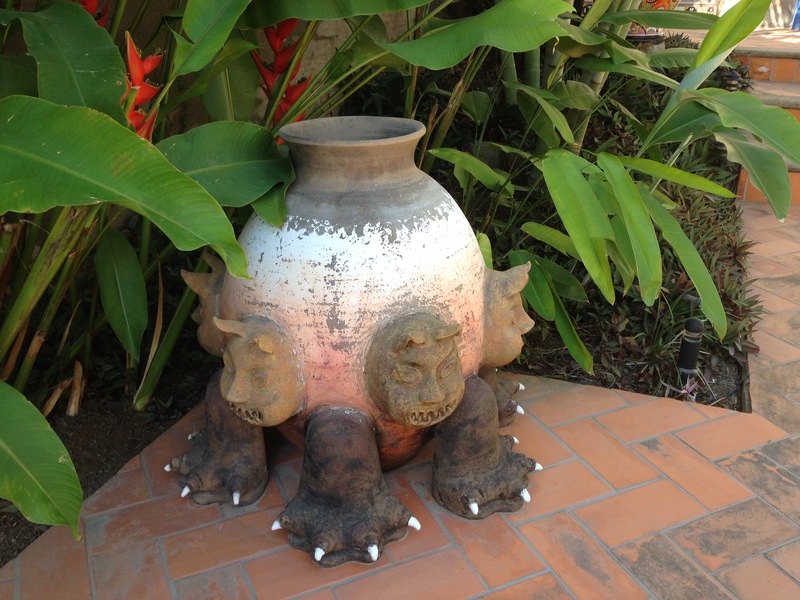 I’m not sure what to say about the pot. Some people’s taste?? Great post Ken. After reading about the Tropic of Cancer I think I’ve solved the riddle of the green flash. Clearly it is caused when the rays of the sinking sun bounce off the ToC line. There, problem solved. Your humorous remarks are much needed at this time. Thank you?